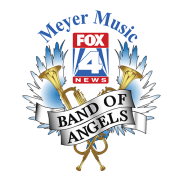 Band of Angels is a 501c3 Charity that collects music instruments and provides them to children in need for free so they can join band and orchestra programs. We also provide scholarships for area children to attend summer music camp. Donated instruments are refurbished and restored before given to a child. Unrepairable instruments are repurposed to benefit our programs. We accept monetary and instrument donations, as well as run fundraising events such as the Heart Strings Gala charity concert and Art That Blows, a charity art auction. Band and orchestra instruments no longer being played are collecting dust in homes across the Kansas City area. There are many disadvantaged students across the metro who would love to join band or orchestra, but can’t due to the cost of an instrument. Band of Angels collects used music instruments from those who no longer need them and helps make them available to kids in need who couldn’t otherwise afford them. Would you recommend BAND OF ANGELS CORP?